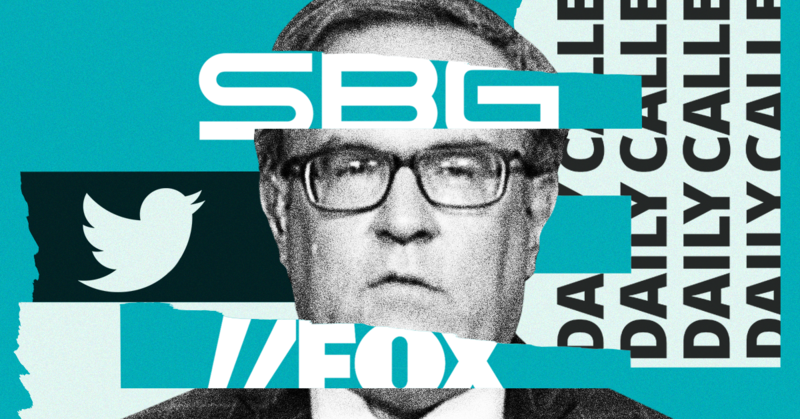 Andrew Wheeler, nominated by President Donald Trump on January 9 to lead the Environmental Protection Agency (EPA), is increasingly following the aggressive media playbook of his predecessor, Scott Pruitt. Wheeler, a former coal lobbyist, assumed the role of acting EPA administrator in July, after Pruitt got himself booted. He has continued Pruitt's work of rolling back major environmental regulations, a fact that has been well-reported. Less well-known is that Wheeler has also been following in Pruitt's footsteps in dealing with the press. The scandal-prone Pruitt had an extremely contentious relationship with the media. His press office retaliated against specific reporters whose stories it didn't like and even attacked them by name in press releases, among other antagonistic moves. When Wheeler took the helm, many reporters looked forward to a change in approach. E&E News published a story about the differences between the two EPA leaders in July under the headline "'Night and day' as Wheeler opens doors to press." Wheeler may start feeling even more antagonistic toward the press in the coming months. On December 26, a federal judge ordered the EPA to release roughly 20,000 emails exchanged between industry groups and high-level political appointees at the agency, including Wheeler, after the Sierra Club sued to gain access to the records under the Freedom of Information Act. Similar records requests from the Sierra Club during Pruitt's tenure helped lead to his forced resignation; the group made the emails available to reporters, which led to the publication of many embarrassing articles about Pruitt. The first went to the conservative Sinclair Broadcast Group. Boris Epshteyn, Sinclair's chief political analyst and a former Trump aide, asked no hard questions and gave Wheeler a platform to make specious claims about automobile fuel economy. Wheeler's second TV interview was with Fox News, the third was with the Fox Business Network, and the fourth went to a Sinclair national correspondent, and those interviewers all went easy on him too. Pruitt and his press office had a remarkably friendly relationship with The Daily Caller, a far-right online publication started by Fox News personality Tucker Carlson, funded by Charles Koch, and sustained through sketchy tax dealings. During Pruitt's tenure, the EPA press office issued a policy statement by sending out a press release that pointed to an interview Pruitt gave to The Daily Caller, while the right-wing outlet frequently defended Pruitt against accusations of wrongdoing, sometimes with "scoops" and "exclusives" based on information that appeared to have been leaked to the outlet by EPA sources. Late last year, Wheeler revealed his own affinity for The Daily Caller. After he was criticized for spreading a false attack on the National Climate Assessment, a major government report on climate change, the EPA issued a press release that tried to defend Wheeler by directly citing a Daily Caller article. For its part, The Daily Caller regularly publishes articles defending Wheeler and the actions of his EPA. Like his predecessor, Wheeler has a fondness for right-wing media outlets and personalities, but he has exhibited that preference in a way that Pruitt never did -- via his personal Twitter account. Or at least he did until a few weeks ago, when Wheeler protected his account to hide his tweets from the public. (Wheeler still has a publicly viewable official Twitter account.) But journalists and activists had made note of many of the controversial tweets from his personal account before he deleted individual ones and then made the whole account private. Wheeler has amplified at least two tweets from Fox News' Brit Hume that bashed major newspapers. In December, Wheeler "liked" a Hume tweet that linked to a Wall Street Journal editorial criticizing The Washington Post for alleged anti-Trump bias. In October, he retweeted another Hume tweet that criticized The New York Times and linked to an article in the conservative National Review. [Wheeler] repeatedly engaged with incendiary, partisan content on his personal Facebook and Twitter accounts over the past five years. The online activity included liking a racist image of former President Barack Obama and first lady Michelle Obama on Facebook and retweeting an infamous “Pizzagate” conspiracy theorist. Though Wheeler has shown a preference for right-wing media in TV interviews and on Twitter, he has also given a number of interviews to mainstream newspapers, wire services, and D.C. publications. In July, after it was announced that he would serve as acting EPA administrator, Wheeler gave interviews to The Washington Post, The Wall Street Journal, Bloomberg, USA Today, and The New York Times. The pace of his interviews with print outlets slowed down after his first month in office, but then ramped back up in November around the time that Trump announced his intention to nominate Wheeler to permanently fill the top EPA spot. On November 16, Wheeler gave another interview to The New York Times, and then two weeks later sat for a live-streamed interview with The Washington Post. In December, he gave another interview to The Wall Street Journal and then one to The Hill. Granting interviews to major newspapers seems to be part of Wheeler's strategy to paint himself with a gloss of mainstream respectability before his Senate confirmation hearing, which is scheduled for January 16. Meanwhile, some of his more partisan views are now out of sight in that locked Twitter account, including insults lobbed at those very same newspapers.